The award-winning Honda Odyssey is officially back for the 2016 model year. Updated and raring to go, the minivan comes with a range of high-end premium features, offers ample power and delivers exceptional fuel efficiency, saving you money at the pump. New to the 2016 Honda Odyssey this year is a Special Edition (SE) model, which brings the number of available trims up to eight. Packed with outstanding amenities that improve the overall driving experience, the model is one of the most impressive new offerings on the minivan. For additional information regarding the new Odyssey and its benefits, take a look at our 2016 Honda Odyssey review below. The only engine option available on the 2016 Honda Odyssey in Arlington is a 3.5L V6. Outputting 248 horsepower and 250 lb.-ft. of torque, the engine sits alongside a six-speed automatic transmission. With this excellent configuration, the minivan can tow up to 3,500 pounds when properly equipped, which is perfect for families who travel frequently. It also achieves an EPA-estimated 22 mpg combined, 19 city and 28 highway across all models, allowing owners to save a substantial amount of money on fuel in the long run. 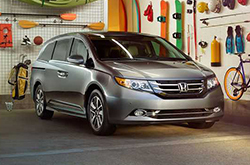 Coming into the new model year, the 2016 Honda Odyssey in Arlington offers an all-new SE trim. Ideal for buyers who are looking to take advantage of premium features, the trim is equipped with a rear entertainment system, SiriusXM Satellite Radio, HondaLink featuring Aha, a seven-speaker stereo system and a 150V power outlet. Additionally, the model is offered with the HondaVAC in-car vacuum, which was previously only available on the Touring Elite trim. Created specifically for drivers with families, this handy piece of equipment can easily pick up any crumbs or dirt left behind after the kids get out of the car. 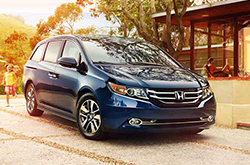 To learn further details about the new Odyssey and its amenities, continue to browse our 2016 Honda Odyssey review. Compare Honda's most current model of the Odyssey to its rivals and we're certain that you'll choose it over vehicles like the 2016 Toyota Sienna, Kia Sedona, Nissan Quest, Chrysler Town & Country and the Dodge Grand Caravan. The Odyssey's advanced cabin features and cut-rate cost are just a few of the great attributes that shoppers will be smitten with. For Honda customers who want a spectacular value, just compare this vehicle's price to the vehicle options listed above and you'll see that it's a good investment. For more useful facts, check out the Odyssey's quick-facts list below. 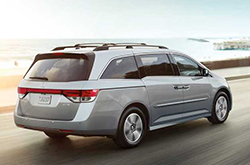 Thank you for reading our complete 2016 Odyssey review, written by Vandergriff Honda's knowledgeable authors. Not all car dealerships are alike. We differ from others in that we feel it's our duty to equip customers with quality reviews. To make educated decisions when it comes to your next Honda purchase, don't guess! Each overview is bundled with data, including info about vehicle features, in an easy-to-understand clear format. Discover more about Vandergriff Honda's wonderful lineup! 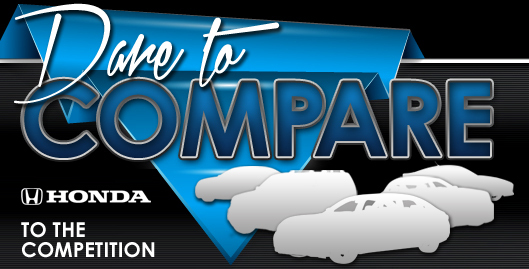 Review and compare Hondas other vehicles in our digital research archive now! *MPG Based on 2016 EPA mileage ratings. Use for comparison purposes only. Your mileage will vary depending on driving conditions, how you drive and maintain your vehicle, battery-pack age/condition, and other factors.